With its crystal-clear blue waters and heavenly beaches, vacationers appreciate the Bahamas for its abundance of sun, sand and surf. 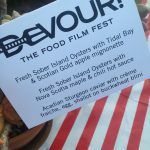 While it is a fine holiday for those seeking natural gifts of the aquatic sort, if you live to eat, this nation of 700 islands is a foodie destination par excellence. 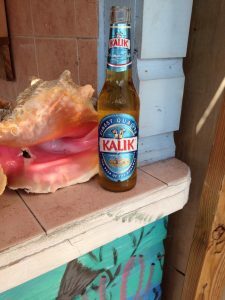 Nassau and Paradise Island are ground-zero for epicureans looking to titillate their taste buds. Surrounded by clean water, you know the fish is going to be fresh, but it’s the melting pot of cultures that have contributed to this city’s status as a culinary destination. You may taste British, West African and Spanish influences enhancing Mother Nature’s bounty of just-picked produce. Hungry visitors may choose from a dynamic array of delicious dining experiences. This fusion of flavors is guaranteed to make your mouth-water and put your taste receptors into overdrive. Don’t expect firehouse heat; it is all beautifully balanced, with no one flavor taking precedent. Even in traditionally spicy dishes, the heat joins forces with the other ingredients, easing its way in like a velvet glove as opposed to a boxing glove. You’ll find casual seafood shacks as well as Michelin-quality meals in regal settings. 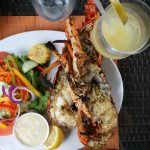 If you like the idea that you may dine on delectable bites while wearing anything from casual flip-flops to elegant evening wear, welcome to paradise. For an authentic regional experience, head straight to family-owned and operated Bahamian Cookin’. Three generations of women run this casual dining spot, adding love and tradition to each dish. The savory offerings include light and airy conch fritters, steamed chicken stew, baked macaroni and cheese, peas n’ rice, coleslaw and fried plantains. This is home cooking at its finest. You’ll note the simple setting and the fact that you are the only tourist in the joint. Continue on the local track at The Fish Fry, where candy-colored wooden shacks serve just-caught fish in a no-frills atmosphere. Follow your epicurean instincts and choose whichever one of the dozens of eateries catches your eye. You’ll fill-up on Nassau’s favorite chewy crustacean, conch, just plucked out of its pink-hued shell. 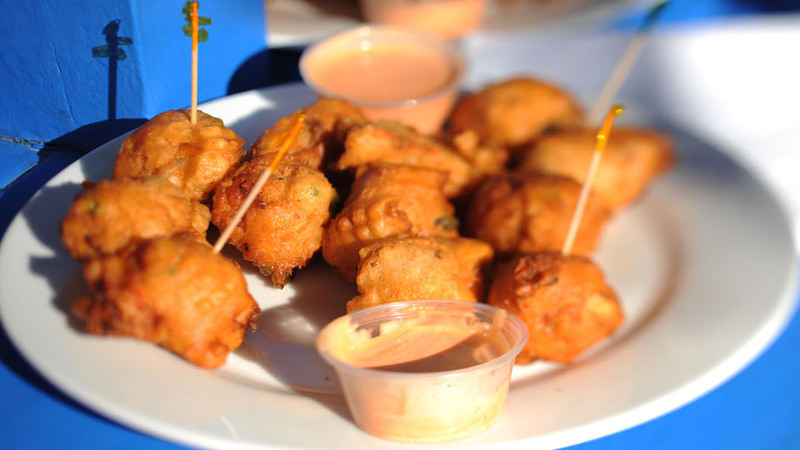 It is prepared in a multitude of ways including citrusy raw conch salad and gossamer-light conch fritters. 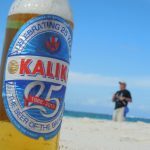 Beer is thoroughly integrated into the rhythms of Bahamian foodways, so pair with an ice-cold Kalik. This thirst-quenching local lager takes its cues from Belgian farmhouse traditions, so it’s brewed to serve at the table as an essential component of the meal. 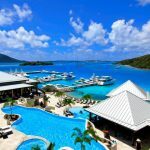 There are many hotel options in Nassau, but for the serious epicurean, the buck stops at Graycliff. Loaded with style, it’s the antithesis of the cookie-cutter big-box resort. 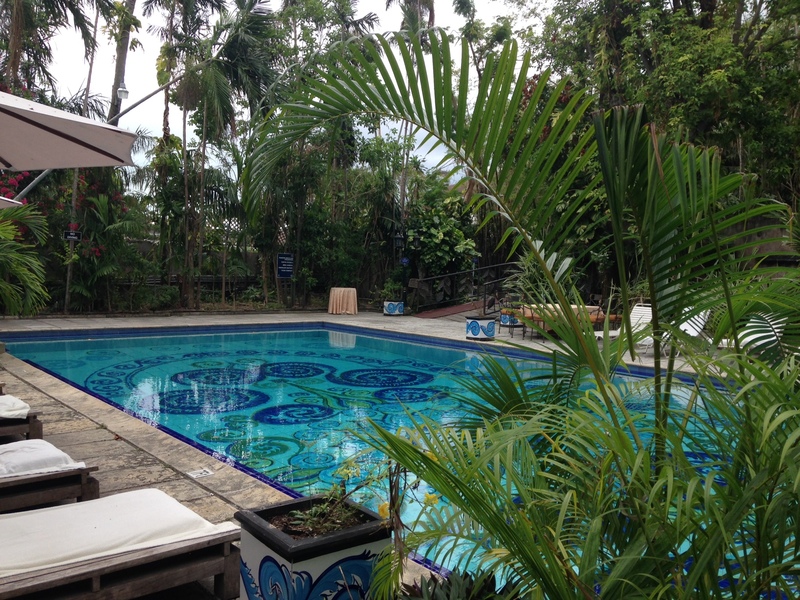 Housed in an 18th century colonial mansion, each of the 20 rooms is individually appointed in grand style. The lush gardens are an oasis of flora and fauna and the enticing swimming pools beckon you to dive in. Graycliff’s onsite restaurant is a 5-star dining spot. The five small dining rooms offer guests an intimate experience akin to being in a private home. Service is formal yet friendly. Local lobster is prepared in a number of mind-blowing ways and high-end gourmet treats such as foie gras and black truffles are used with a free hand. With such an opulent setting and menu, you won’t be surprised to learn that Jay Z is rumored to have proposed to Beyonce over a romantic dinner here. Oenophiles have hit the jackpot, as Graycliff’s wine cellar claims to be third largest in the world. With 250,000 bottles, it is noteworthy for its size and diversity. It has garnered numerous accolades, including the prestigious Wine Spectator Grand Award. Be sure and request a tour of this labyrinthine maze of drinkable treasures or for a real treat, book the private dining room for a meal in the wine cellar. Yes, this gigantic resort is indeed loaded with screaming children enjoying the dozens of waterslides and splashy pools. But for the food-obsessed traveler, Atlantis offers high-end palate pleasers and celebrity chef restaurants. The internationally acclaimed Japanese restaurant Nobu has an outpost here. 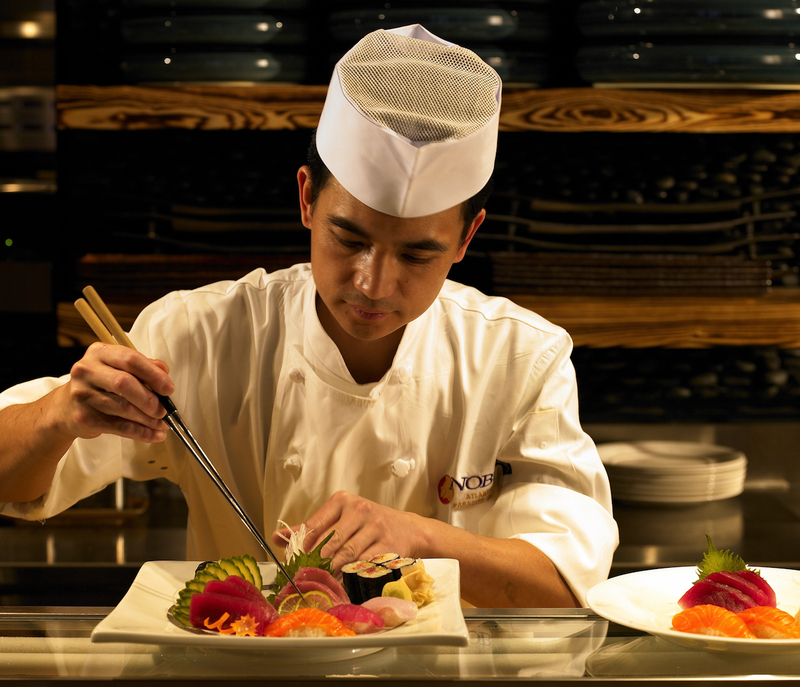 It’s mesmerizing to watch the chefs prepare each plate with razor-sharp precision and an eye towards even minute detail. You’ll feast on sushi and sashimi prepared with panache, made using local fish. Café Martinique, celebrity chef Jean-Georges Vongerichten’s signature restaurant, is also located at Atlantis. It’s heavy on the eye-candy, with décor that is equal parts glamorous and old-world. 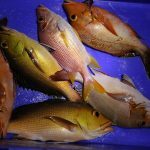 The menu offers an encyclopedia of freshly caught fish as well as opulent options such as Chateaubriand and elegant soufflés. If you crave the flavors of the Mediterranean, Todd English has recently opened Olives. The menu leans Italian but without rigidity. Enjoy local fish simply prepared, thin-crust flatbread pizzas and an array of fresh pasta dishes. No culinary map would be complete without booze. Though the Bahamas doesn’t have a homegrown sugar industry, the history of rum making runs deep. John Watling’s Distillery invites visitors to enjoy their handcrafted rum made from freshly pressed sugar cane sourced from around the Caribbean and distilled on-premise. The distillery is located on the hallowed grounds of the 1789 Buena Vista Estate and employs traditional English rum-making methods. If it looks familiar to you, you may recognize the estate from the classic James Bond film Casino Royale. Take the complimentary tour and meander the baronial estate before you head to the Red Turtle Tavern to drink up. 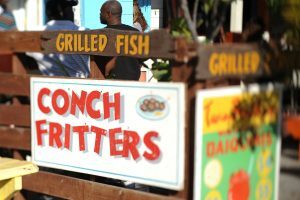 If your time is limited, book a food tour with Tru Bahamian Food Tours. The engaging local guides will give you an overview of the food scene as well as a history lesson. 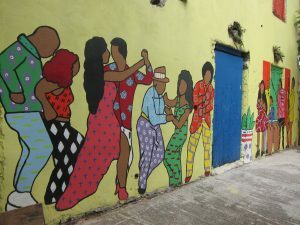 The Bites of Nassau Food Tasting & Cultural Walking Tour will have you noshing and nibbling at six eateries with a convivial group of food-minded travelers. You’ll get an eyeful of the colorful local murals that add artful spice to the town.